With four different trim levels available, the Kia Optima has a lot to offer Detroit drivers. 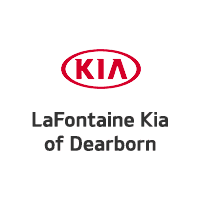 LaFontaine Kia has a great selection of this popular sedan, and each trim has the premium interior and tech features you’re looking for, like the UVO infotainment system, Apple CarPlay and Android Auto. Why a New Kia Optima? You can choose from all of the colors that Dearborn drivers are asking for: you’ll find anything from a black Kia sedan with black leather for that luxury feel, or maybe a red Kia Optima to turn some heads in Taylor, or perhaps a cool blue Kia Optima for to enhance your smooth driving. We’ve done the legwork and when compared against other sedan offerings from Honda and Hyundai, Optima wins. Whether you’re comparing against the Hyundai Elantra or Sonata, or judging the 2019 Kia Optima vs Honda Accord, you’ll see why the Kia Optima interior features, performance, fuel economy, and value put the 2019 Optima midsize sedan on top. Which Optima Should I Choose? If you’re looking for a top of the line Kia sedan, take a test drive in the Optima SX Turbo, which replaced the Kia Optima SXL in 2018. With the SX Turbo, you’ll experience premium features such as sport-tuned suspension, available chrome exterior accents, and a panoramic sunroof with rear sunshade. If you’re looking to save some money on your Canton commute, then the Kia Optima mpg ratings favor the base model. You can also add available features like available Smart Cruise Control with Stop & Go for those heavy traffic mornings, and Dynamic Bending Light and High Beam Assist to help see what’s coming in the dark during deer season. Test Drive Your Favorite Optima in Dearborn Today! Regardless of the Optima you’ve set your sights on, LaFontaine Kia is here to help you drive one home, with our rotating monthly specials and financing offers available for people with low and bad credit. Maybe you want to lease a Kia Optima, so if you’ve asked yourself, “How much does it cost to lease a Kia Optima,” check out our Kia Optima lease deals, and then contact our finance department to get started!